Today’s featured activity from It’s Playtime is so simple! 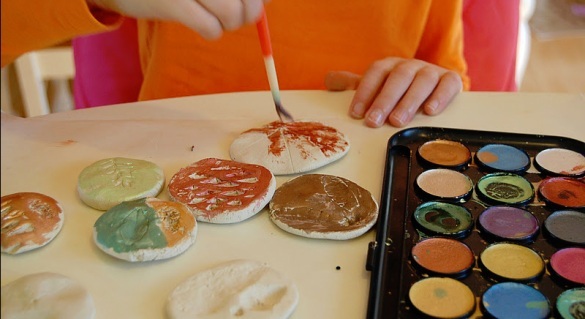 I love how Liberty, and her girls over at Our Creative Day, used air drying clay and nature items found around their home to create stunning ornaments. Note: Only family-friendly, kid-based posts are accepted. By linking up you give us permission to use a picture and feature you 🙂 Links back are loved and cherished! Love the blog you are featuring! Thanks! Our Creative Day!